At our practice, we want what’s best for you, and that never changes. From day one, we aim to treat you like a part of our family and we hope you feel the same. Whether you’re coming to us for relief from pain or simply because you want to live a healthier, happier life, we’re here for you. Our mission is to inspire patients to choose the path of wellness by showing them it’s possible, naturally. Our doctors believe in helping patients see the big picture when it comes to their health—we hope to act as a resource for you and your family, shifting chiropractic care from “appointments” to a lifestyle. We’re incredibly proud to be an active part of the Ajax community, and we look forward to helping you prioritize your health for life. Our doctors regularly work with patients of all ages and from all walks of life, including pregnant women, grandparents, children and newborn infants—sometimes we’re even the first stop before a baby goes home! No matter what stage of life you’re in, chiropractic has something to offer you. When you choose us for care, we’ll do a thorough analysis of your spine and body before recommending a completely custom, specific and focused care plan for yourself. 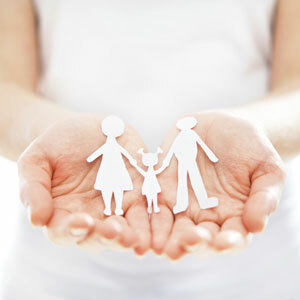 Ready to learn more about how our Ajax chiropractors can help your family? We’d love the chance to meet you soon! Contact us today to get started by making your first appointment.